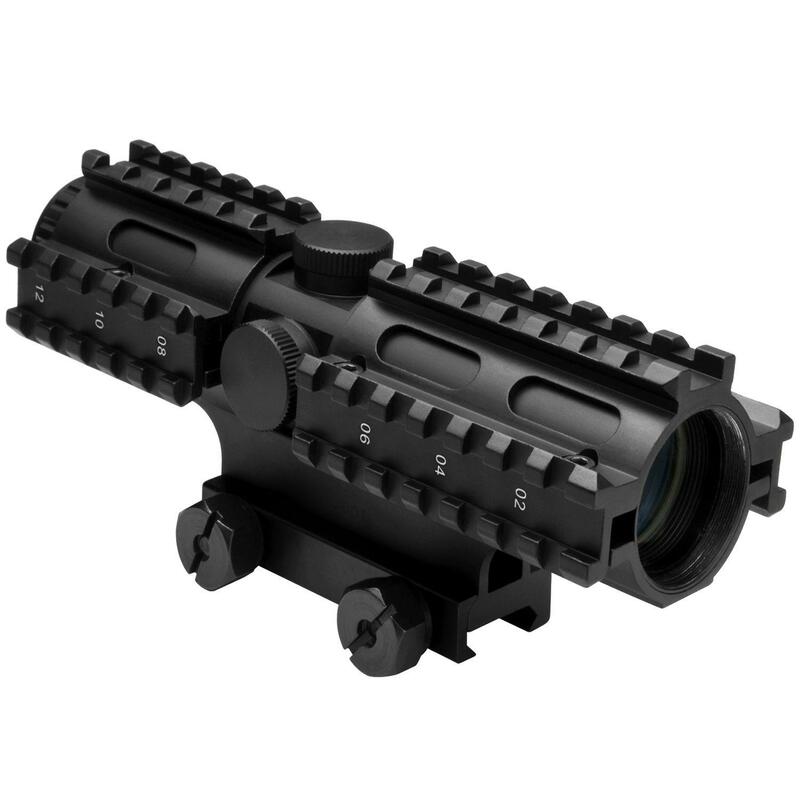 Buy Cheap Ncstar SC3RSM432B Tri-Rail Series 4x32 Mil Dot Compact Rifle Scope|ReplicaAirguns.ca | Easter Weekend Sale! Specifications: • Magnification: 4 • Tube Dia. 34mm • Objective Dia. (Mm) 32.00 • Eye Relief (In) 3.1 • Exit Pupil(Mm) 7 • Reticle: Mil-Dot • N.W(Oz.) 21.7 • Length (In) 6.89 • Click Value : ¼ Moa. • Exterior Finish: Matte Black. • Lens Coating: Green. • Mount Included: Integrated Weaver/Picatinny Style Mount.